The language of the originators defines reality, every word warping the world to fit its meaning. Its study transforms the mind and body, and is closely guarded by stodgy, paranoid academics. These hidebound men don't trust many students with their secrets, especially not women, and more especially not "madwomen." Polymede and her lover Erishti believe they've made a discovery that could blow open the field's unexamined assumptions, and they're ready to face expulsion to make their mark. 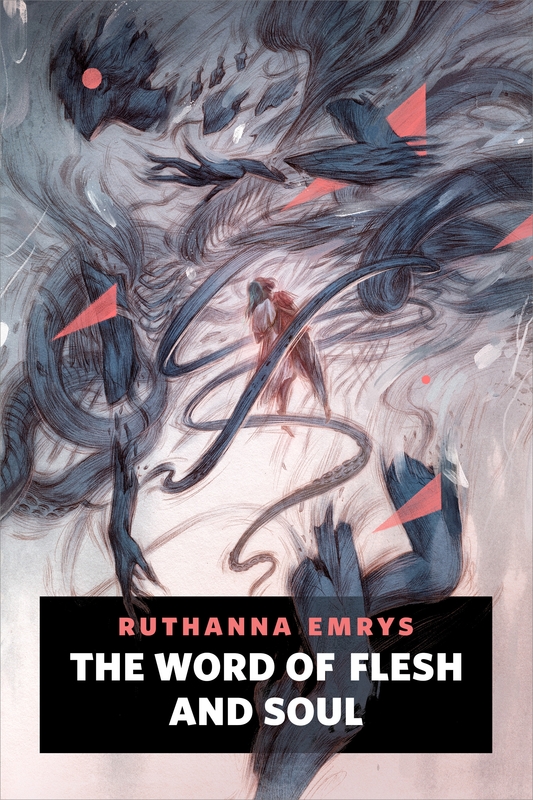 Of course, if they're wrong, the language will make its mark on them instead...in Ruthanna Emrys's stunning, dark fantasy story, The Word of Flesh and Soul. About the AuthorRuthanna Emrys lives in a mysterious manor house on the outskirts of Washington, DC with her wife and their large, strange family. She is the author of the Innsmouth Legacy series, including Winter Tide and Deep Roots. Ruthanna co-writes Tor.com's Lovecraft Reread, and writes short stories about religion and aliens and psycholinguistics. She makes home-made vanilla, gives unsolicited advice, and occasionally attempts to save the world. Ruthanna Emrys lives in a mysterious manor house on the outskirts of Washington, DC with her wife and their large, strange family. She is the author of the Innsmouth Legacy series, including Winter Tide and Deep Roots. Ruthanna co-writes Tor.com's Lovecraft Reread, and writes short stories about religion and aliens and psycholinguistics. She makes home-made vanilla, gives unsolicited advice, and occasionally attempts to save the world.